Lakewood is known as the “City of Beautiful Homes,” yet as many residents have discovered, maintaining our renowned-yet-aging housing stock requires more than a little TLC on the part of homeowners. LakewoodAlive will hosts its “How to Contract a Repair” workshop on May 25. 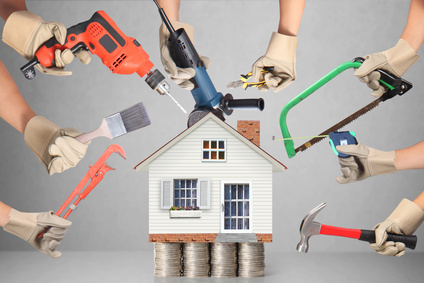 LakewoodAlive will host “Knowing Your Home: How to Contract a Repair” on Thursday, May 25, from 7 to 8:30 p.m. at Lakewood Public Library – Madison Branch (13229 Madison Avenue). The eighth workshop of 2017 for this popular home maintenance educational program will focus on the process of working with a home repair/improvement contractor. Led by Allison Urbanek, LakewoodAlive’s Housing Outreach Director, this workshop will cover the basics of understanding your repair, including navigating the process of obtaining estimates, scheduling the job and ensuring the project is completed properly in a timely manner. The goal of this presentation involves helping to remove guess work from the daunting task of home repair and improvement projects. When your project is done correctly the first time, you save precious time, money and sanity. Visit LakewoodAlive.org for more information and click here to reserve your free spot. In lieu of being charged for these events, participants are encouraged to either consider making a donation to LakewoodAlive or bringing canned foods or other non-perishable items for donation to the Lakewood Community Services Center. We appreciate your support.